Mahjong is a Chinese game of skill, which involves four players. The game played in general is similar to all the versions of mahjong. However the game pieces and scoring slightly differs depending on regional variations. Online Mahjong game is almost similar to gin, rummy, while the object of mahjong is to build sets, as well as get the highest point value. In order to do this, each player selects and discards tiles (the game pieces, bearing different designs) until an entire set of combinations has been made. For this article, we will cover the Mahjong Competition Rules (Chinese Official) or the Official International Rules, which gained recognition as the 25th sport by the State Sports Commission of China in January 1998. So let's start the ball rolling (in this case, the dice), and begin learning Chinese Mahjong Rules and playing mahjong. The basic Mahjong set has 144 pieces, which contains 36 distinct kinds of pieces (4 of each kind). There are three suits, which run from one to nine. There are also three Cardinal tiles (Dragons or Special Honor Pieces), labeled as Red Dragon, Green Dragon, and White Dragon (4 pieces each). Lastly, there are eight optional Flowers & Seasons tiles, which consist of two sets of four tiles; each series marked 1, 2, 3, and 4. Tiles 1 and 9 are considered as Terminals. The tiles numbered from 2 to 8 are called "Simples" and Wind and Dragon Tiles are Honors. The flower and season tiles differ in nature from the suit and honor tiles. There are only 4 flowers (1, 2, 3, and 4) and only 4 season tiles (1, 2, 3, and 4). When drawn, they are declared and a substitute tile is drawn. 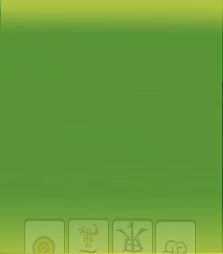 The flower(s) or season(s) corresponding with the winning player's wind may increase the score. The Flowers are represented by a plum, orchid, chrysanthemum and bamboo, and Seasons by a fisher, woodcutter, farmer and scholar.